Professional vs. Home Teeth Whitening: Which Teeth Whitening Works Best? Finding a professional teeth whitening dentist in Toronto does not necessarily have to be a grueling task. In the past 10 to15 years, incredible strides have been made in the field of dentistry to formulate an increasing number of effective and affordable ways to get the teeth whitening treatment you need. The question is whether home teeth whitening is safe and what the pros and cons are for home teeth whitening vs. professional teeth whitening. There are many factors, both personal and financial, to consider when making the ultimate decision, so it is worthwhile to research the at-home and professional teeth whitening options available. 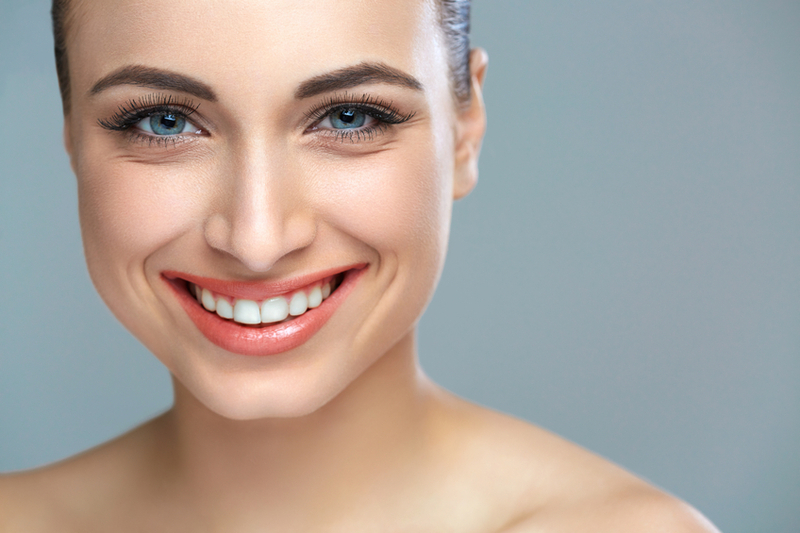 Patients on a tight budget who want to maintain the visual appeal of their teeth might consider at-home vs. professional teeth whitening a viable option. While it is true that home teeth whitening methods are significantly less expensive, they might not necessarily be as practical as getting your teeth whitened by a professional teeth whitening dentist. At-home teeth whitening methods include: brushing with whitening toothpaste, whitening strips or trays, teeth whitening pens, teeth whitening rinses or mouthwashes, brush-on whitening gels, and peroxide gels. While all of these methods work to varying degrees, there are more effective and cheaper versions of all of them, which makes it hard for most consumers to determine professional grade products vs. knock-offs. This can result in a great deal of wasted time and even money. The other issue is that not all of these methods are equally as effective as visiting a professional teeth whitening dentist. Toothpaste and whitening strips or gels can only reach the surface of your tooth enamel, neglecting the sides of your teeth which will result in unattractive patchiness. There is also a massive safety concern when it comes to using teeth whitening bleaches such as carbamide peroxide at home because patients typically do not have a means of covering their gums and this can lead to hyper tooth sensitivity and gum erosion. The best option is to have a dental professional examine and whiten your teeth. Even though this is more costly, it might save you a great deal of aggravation in the long run. Typically, dentists use hydrogen peroxide when whitening teeth, which can still cause tooth sensitivity and gum erosion but the main difference is that they also cover the gums with a protective layer of plastic to ensure the gums come in minimal contact with the whitening solution. Which Teeth Whitening Treatment Is Right for You? Despite the obvious superior benefits of professional teeth whitening vs. at-home teething whitening, most people still tend to opt for the latter option the majority of the time because it is usually more convenient and cheaper. However, it is still highly advisable that patients at least supplement their personalized at-home treatments with a periodic visit to the dentist (at least every six months). Financially, this might not be an option for everyone, which is why most employers offer comprehensive or very widespread dental plans that usually cover at least one cleaning or whitening session per year. Also, keep in mind that professional dental work will usually prevail over at-home treatments because some low-quality, cheaper home treatments might actually damage your teeth and lead to a costly but necessary dental procedure. In this case, it is better to be safe than sorry. Princeview Dental Group is a tooth whitening treatment dental care clinic serving Toronto and the GTA. We offer numerous dental procedures from professional teeth whitening to root canals to emergency dental procedures. To book a consultation for a root canal treatment, call us at (416) 231-4562.